Feel free to use these thank you graphics to enhance your website. Category includes both animations and clipart images with people, bunnies, hearts, flowers, kisses, funny bees, dogs, angels, glitter animation and other types of Thank You designs. The animations and clipart on this page may also be used royalty free on personal and educational websites. Thank You with two hearts connected plus glitter animation. Mister smooth offers a thank you. Thank You with a kiss. Thanks with young woman on a swing. 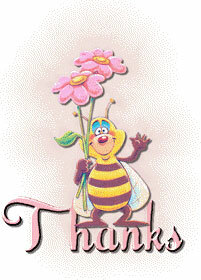 Thanks with happy bee and flowers. Thanks with heart and blue flower. Thanks in red and white with stars. Thanx with happy bee animation. Thank you with a puppy happy to see you. Thank You in pastels with front reflection. 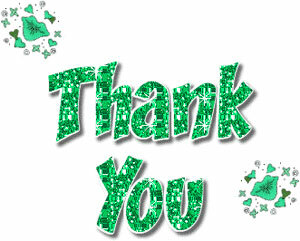 Thank You with stars and glitter animation. 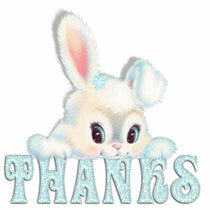 Thanks from a cute bunny. 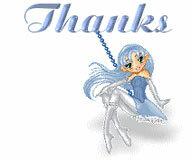 Thanks with animated red rose. You may use our thank you graphics on your personal and educational websites or online community web pages. 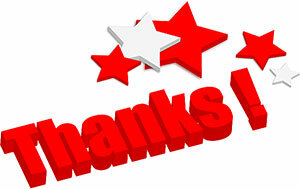 To save and use our thank you clipart or animations simply give us credit for our images. "Free Gifs - Animations - Clipart" https://www.fg-a.com. Thank You.